Before I start, I just want to say that my thoughts are with everyone today who lost a close one during 9/11. This must be a very hard day for you today and the grieving still continues eight years after it happened. I can still recall vividly what I was doing when it happened. Big hugs to you all. I am jumping up and down with excitement over this week's finds. Especially the last one, which has me over the moon with anticipation. 1) The Strangely Beautiful Tale Of Miss Percy Parker by Leanna Renee Hieber. I found this one over at Melissa's Bookshelf and I want it just for the cover. It is listed as a ghostly Victorian Gothic fantasy. Here is the blurb from ParaNormalRomance. I found this one over at Beth Fish Reads and thought it sounded very entertaining. Sounds like a pirate's tale with a difference. Apparently a blend of darkness, tragedy and comedy. Can't wait to get my hands on this one now. 3) Miss Buncle's Book by D.E Stevenson. I found this book over at a new site to me Reading In Focus, written by Tice Belmont. "The storyline of Miss Buncle's Book (1934) is a simple one: Barbara Buncle, who is unmarried and perhaps in her late 30s, lives in a small village and writes a novel about it in order to try and supplement her meagre income. She writes a book about her neighbours, but adds in a little extra. The book becomes a bestseller and Miss Buncle's neighbours strive to find out who wrote the book, as they are unhappy with the way they have been portrayed." This is thought to be similar to books such as Mrs Pettigrew Lives For a Day and The Making of a Marchioness. 4) The World We Live In - Susan Beth Pfeiffer. I found this one over at Carries YA Bookshelf. Many of you will remember me reviewing Life As We Knew It earlier this month and absolutely loving it. Well this is the third installment of the trilogy. It brings back the character of Miranda from the first book and joining her is the main character of the second book, which I will be reading soon. Here is the blurb from Carrie's site. I am so excited over this book and happy to find out what happens to Miranda and her family after the last book. So there are my finds this week, what did you find? The Strangely Beautiful Tale Of Miss Percy Parker looks great, adding to my overfollowing TBR pile. They all sound fantastic -- great finds! All the books look great! Great find, Viv! 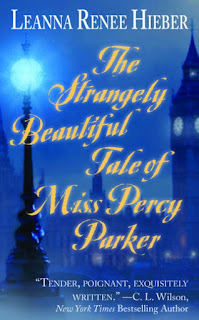 I've had my eye on The Strangely Beautiful Tale of Miss Percy Parker too! I love the big moon on the cover of The World We Live In. The first book also looks like something I'd like. Great finds! You found some awesome books. I love the covers! Thanks for the shout out :) Happy reading! 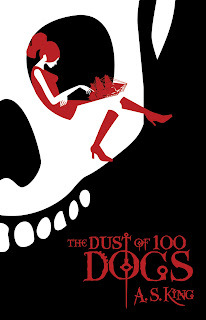 I've seen the Dust of 100 Dogs around so much. I really need to get to reading that. 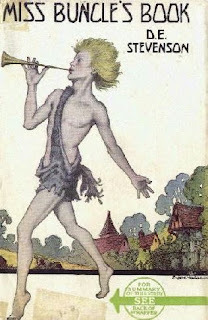 I love Victorian fiction, but not sure about the fantasy aspect ?? I can't wait for The World We Live In, too! I sure hope our library buys it immediately upon release...or my book buying ban will make me suffer even more than I imagined. I found the plaque on the internet; it's located in New York. I really want to read the first two as well. Good grief, how are you going to decide which to read first?? Great finds all! So happy I tempted you with Dust of 100 Dogs!